This canoe is very stable. It does well on the bay with some wind. It can hold a little person in the middle of the two people. The storage container keeps all items dry!! It is a great for first timers and will keep you upright the entire time. It is great to take to a lake, bay, or somewhere with clam water. 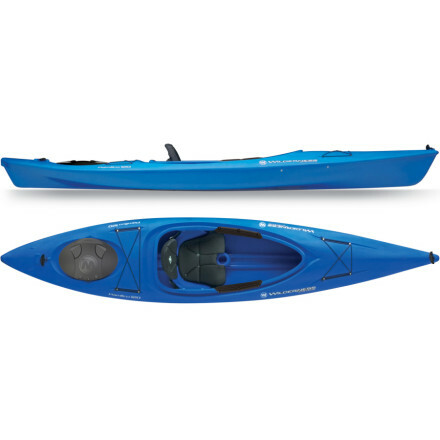 This kayak is fantastic. Handles with ease, solo or tandem. 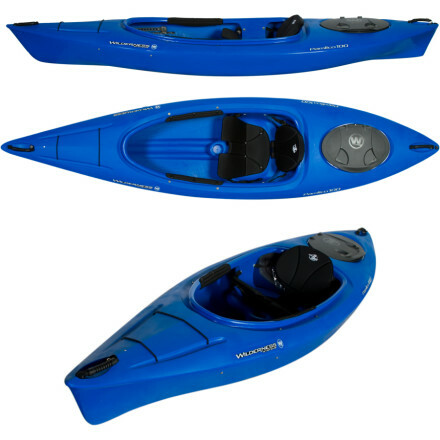 Great all around kayak with wonderful versatility. I have had this kayak for three years. This yak is great. Can be switched to solo or tandem by simply moving the front seat to one of the other positions. I can put it on the roof of my SUV the same way you would a canoe, no special racks needed. The cockpit is very large and the seats are very comfortable with many adjustment options. When using it in solo mode the balance is great and the storage space is abundant. Tandem or solo it tracks wonderful and glides across the water with minimal effort. Best tandem kayak I have ever used. Very comfortable seats. Very adjustable. Handles very well in solo or tandem use. Front seat slides back for solo use. Large cockpit. It can be mounted on an suv like a canoe. No need for special kayak rack.